On behalf of Davenport Central and the Blue Devil Athletic Foundation, we would like to thank you for your generous donation at our first four auction and dance events! Your tremendous support helped to raise over $240,000 in gifts and monetary donations. "Remembering The Legends" and "Raising Future Legends" were unforgettable evenings that we look forward to holding annually as a celebration to raise funds for the future legends of Davenport Central. The foundation board has worked tirelessly with your dollars to bring a cardio room for the students and staff after our first year. Our P.E. classes, sports teams, staff members, and even future Blue Devils have raved about using this high end cardio facility. What an amazing present from you to our school! 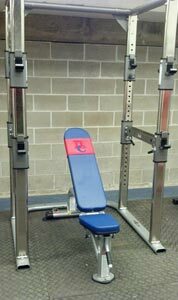 A special education teacher at Davenport Central, Audrey Mueller said, "We are so thankful for the donations by the athletic foundation, it is awesome that our community cares about the wellness of our students and staff!" Carole Sissel, CHS counselor wrote a letter of appreciation to the donors stating, "It is so convenient for our students to stay after school and work out instead of going home and playing video games, etc. I too stay after work three days a week and work out with other Blue Devils. Thank you so much!" Finally, Central track runner James Rush said, "It is nice that we can run indoors when it is raining to train instead of going outside." Over $34,000 in new weight training equipment at the George Marshall Gym weight room as well as the Brady St. Stadium weight room. 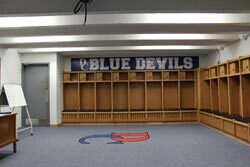 Renovations of both the boys’ and girls’ George Marshall locker-rooms, complete with pro-style DC wood locker and state of the art audio-visual equipment. We also recognize the financial support from the Davenport Community School District and DC Boosters. Their contributions enhanced the George Marshall Gym with 8 new glass basketball backboards, and electrical systems that were installed over 2011 spring break. 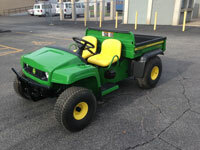 This gives a very clean streamlined look to our historical athletic facility. 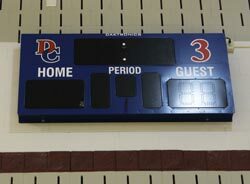 In addition the school district installed brand new baseball and softball 9 inning scoreboards with our DC logos in 2012. Our 2015 Foundation Board and Committee are working diligently to bring you our fall event on Friday, November 6th, at the River Center in Davenport. We want to pack the house and host the party of the year as we continue the awesome tradition at our high school, (FUN)RAISING for future Davenport Central legends. As a 501c3 non-profit organization, the extraordinary board and their inspiring leader, CHS alum Craig Levien, look to advance our projects and enhance our gifts for the 2015 event. Your gift means the world to the students and staff at Davenport Central! Mark your calendars now and bring all of your friends and family to our upcoming event on November 6th. If you are interested in tickets, donating, and or helping on one of our committees, please contact us at ehlingerb@davenportschools.org. 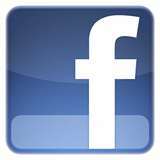 Keep up to date on foundation information at http://www.facebook.com//Blue-Devil-Athletic-Foundation/.